Zombies are trapped in an eternal state of decay, despite their semblance of life. 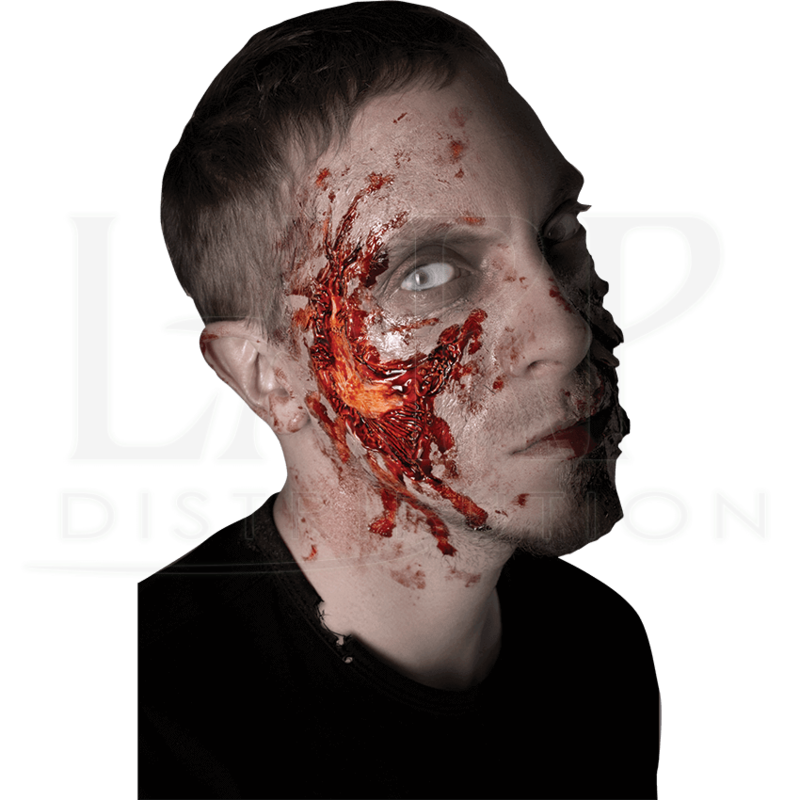 Display your undead status by adding some decay to your face with the Exposed Zombie Cheek Prosthetic and own the night as an undead walker! This gory zombie prosthetic is designed to look like the flesh and muscle of your cheek has been torn away, revealing the bone underneath! 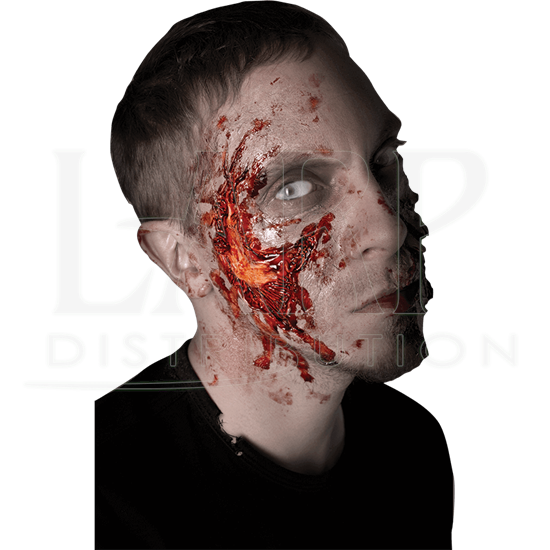 Made from high-quality latex, this Halloween application possesses slim edges that allow for more realistic blends, as well as large contact surfaces for a better and longer fit. The prosthetic comes unpainted, allowing you to customize your slowly decaying face as you wish. Wear it in your Halloween costume or in any other zombie costume to look the part! Remove carefully and rinse off all glue, wax, and makeup with spirit gum remover and warm water.